The start of summer is just days away, which means it’s time to ditch the Netflix in favor of getting out into the great outdoors. There’s nothing better than sitting in the sun with a cocktail in hand — even better when that cocktail is bursting with the freshest flavors of the season. June marks the beginning of the perfect time to visit your local farmers market for seasonal ingredients to inspire your bar. Produce such as strawberries, cucumbers, and mangoes make for light and refreshing drinks that pack some major flavor, but our favorite ingredient of the summer will always be watermelon. The juicy fruit goes hand-in-hand with backdoor barbecues and picnics in the park — and happens to pairs perfectly with another staple of the season: rum. Put these two together and what do you get? Our Cocktail of the Month, the Summerlin. 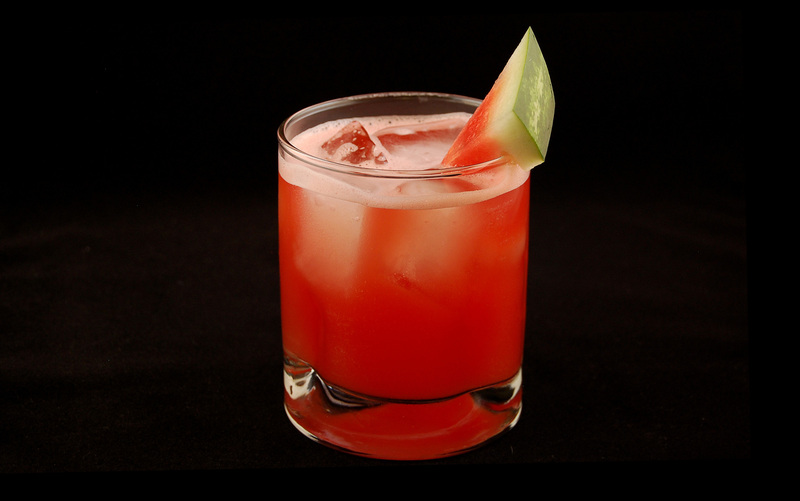 The combination of rum, watermelon, and lemon juice makes a sweet and fruity flavor, while a pinch of cracked pepper lends an unexpected kick. Tobin Ellis of BarMagic in Las Vegas recommends using Zacapa 23, a rum made from fresh crushed sugarcane instead of traditional molasses.